Giveaway! Solid Cologne & Lotion Bars Home | About Us | Opportunities | Sponsorships | Contact Us! 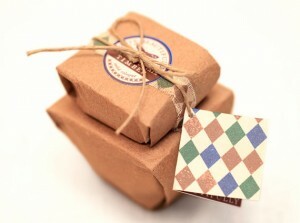 We are thrilled to announce that this week’s Handmade Men giveaway is sponsored by Live Beautifully! As artisans creating some amazing natural products for men and women alike, Live Beautifully is an asset to the handmade community and we couldn’t be more excited to be connecting you with a chance to win some of their most amazing men’s products! 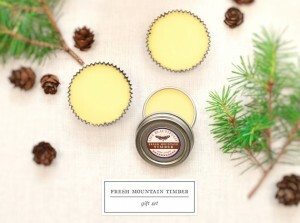 The lucky winner will receive a Fresh Mountain Timber Gift Set Including 1 Natural Solid Cologne & 2 Lotion Bars! The winner will receive a generous sized tin of solid cologne in the Live Beautifully signature fragrance ‘Fresh Mountain Timber‘. This solid cologne goes on smooth anywhere you need it, leaves an amazing masculine scent that lasts long, and shows some love to your skin at the same time! You’ll also get 2 handmade lotion bars with the same Live Beautifully signature scent. These bars literally melt into your skin leaving it soft, hydrated, and scented without the greasy residue! If you didn’t catch our review of this amazing gift set, <click here> to see what all the rage is about! Featured on Blog Giveaway Directory! Tagged giveaway, handmade men, live beautifully, lotion bars, mens cologne, mens lotion, solid cologne. Bookmark the permalink. I would definitely use this myself. My skin gets so dry that it cracks and bleeds regularly, and I’m always looking for new lotions and things to help. Handmade is always the way to go – especially when it’s all-natural, too! Good luck, Tyler! I would give it to my sweet husband! Id give this to my husband. Thank you! Great idea! Good luck, Jess! The best gift is always handmade! Good luck, Josette! Oh I’ll be using this I hope. Im entering to win this for my amazing fiance! I just saw this in email! Great giveaway – I’d give this to my husband as an addition to his birthday gift. Great gift idea! Good luck, Re! I think my brother would really love this! We do too! You sound like a great sister! Good luck, Lauren. my husband will absolutely love this set! thank you for offering the giveaway! You’re welcome Jesi – good luck to you! Great gift idea, Keya! Good luck! A great gift idea. Good luck!